We are more than just a used truck dealer, we can completely convert a vehicle from one use to a totally different one. 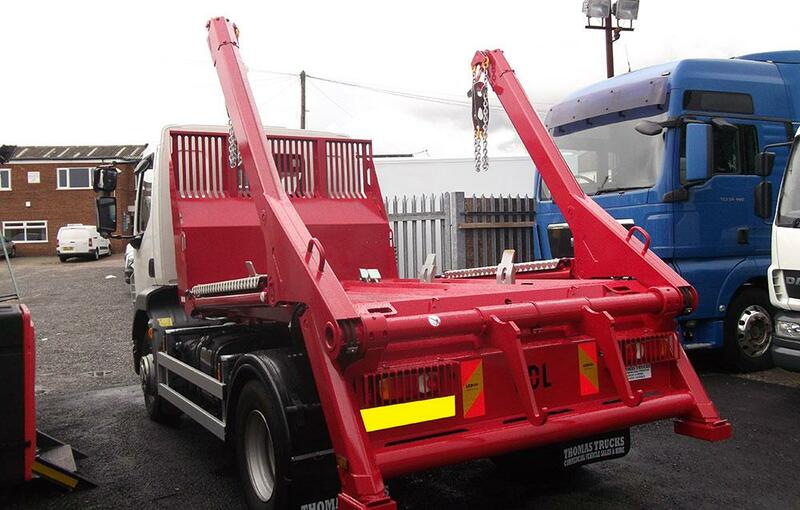 With our in house workshop we can change a 26Ton Box into a New 30FT Cheesewedge Plant Body or a 18Ton Curtainsider into a New Triple Alloy Dropside Scaffold Truck, we are fully equipped to alter chassis lengths, add axles, fit cranes and completely repaint into your company colours. We hold a large stock of vehicles already built but can also build to your exact requirements. Below are some of the types of vehicles we have built. 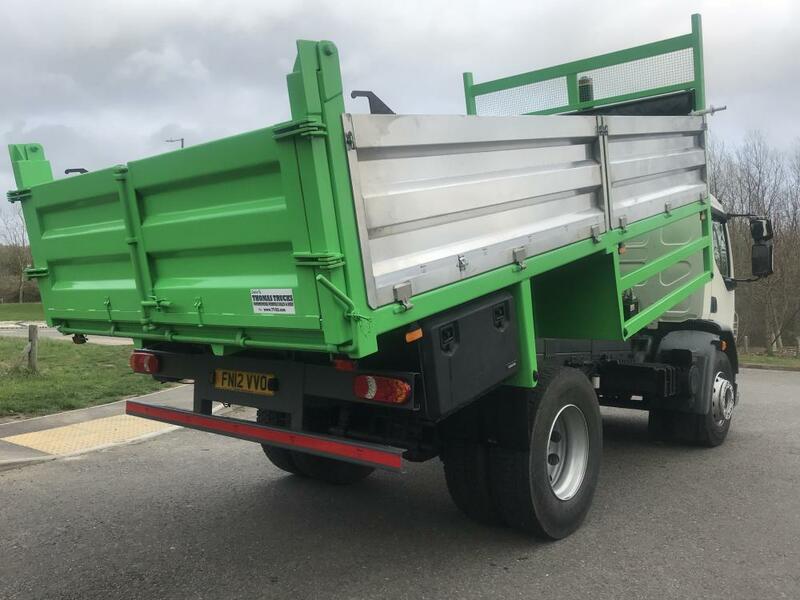 Top Specification Body with Hardwood Floor, Fall Arrest System, Underbody Access Steps, Pole Holes, Heavy Duty Lashing Rings, we have a number of these spec trucks always in stock from 7.5ton upto 26ton, and we can build them to your exact requirements. Body Spec includes, Hardwood Floor, Heavy Duty Lashing Rings, Fall Arrest System, Hydraulic Stabiliser legs. Body Spec- Hardwood Floor – Fall Arrest System, Stainless Steel Locker boxes, Ladder Rack, Container Locks. 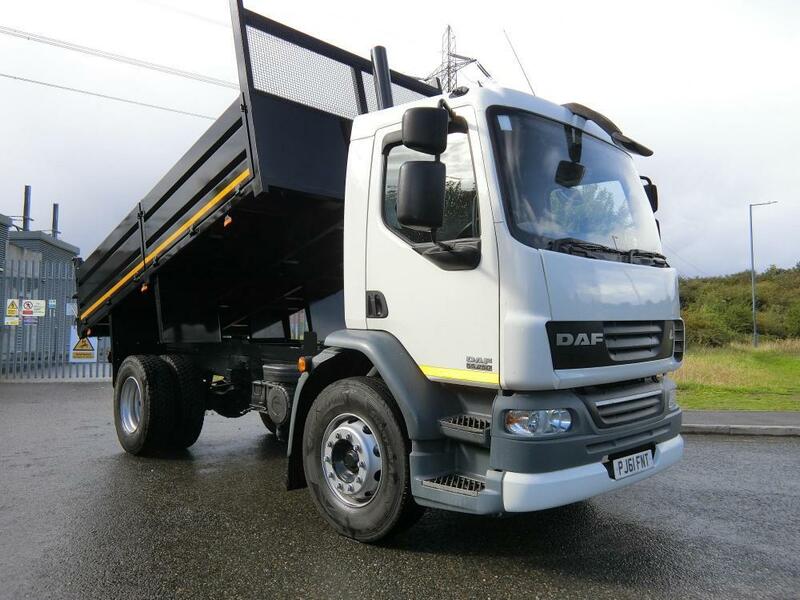 Fitted to 2012 DAF LF55 220, Originally a Curtainsider we shortened the chassis and completely repainted the cab and chassis, fitted new PTO and Pump System and New Front End Binotto Ram. New Steel Insulated Body with Tar Shute's, We can build 18ton tippers to our customers exact specifications, as pictured below a recent bespoke steel body tipper with alloy dropsides, rear tailgate door configuration, roll over sheeting system.